(Very) Gently Crumbling : Québec City ! (Very) Gently Crumbling : press review ! The most recent research phase of Running Piece will be presented at 7pm, November 28th, during the Mardi Culturel of the Arsenal thanks to a residency by Danse Danse. 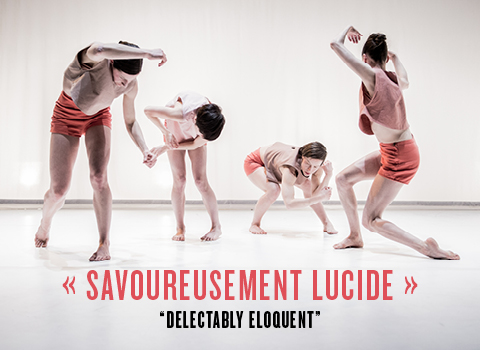 A second presentation will follow at 8pm as part of the Parcours Danse showcase. 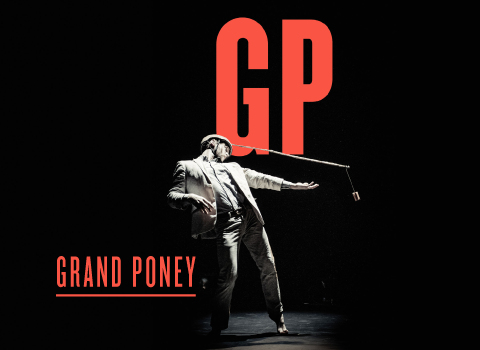 Grand Poney wishes to transport you with Waltz, a tribute to mobility devised by Jacques Poulin-Denis. Equipped with fantastic sensors and athletic dancers, an oversized treadmill is perfectly synchronized to the subway trains. The 3 hour in situ installation offers a spin on our transportation culture. 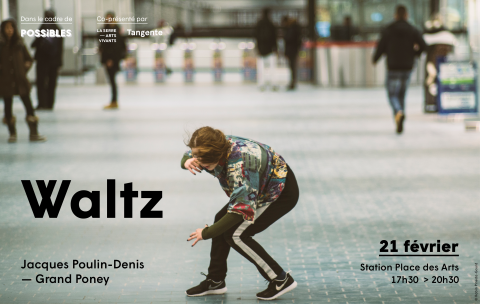 At the Place-des-Arts station – FREE EVENT ! Tuesday February 21, 2017, from 5 to 8 pm. Co-presented by Tangente and La SERRE – arts vivants for the POSSIBLES project, as part of the official programming of the 375th anniversary of Montréal. In collaboration with the Ecole de danse contemporaine de Montréal and the Société de transport de Montréal. Tuesday, February 21, 2017 – 5:30 pm to 8:30 pm. Place des Arts Station, Montreal. Grand Poney’s latest work, (Very) Gently Crumbling will be at the biennale Manif d’art at the Musée national des beaux-arts du Québec, presented by La Rotonde, April 27 and 28, 2017. 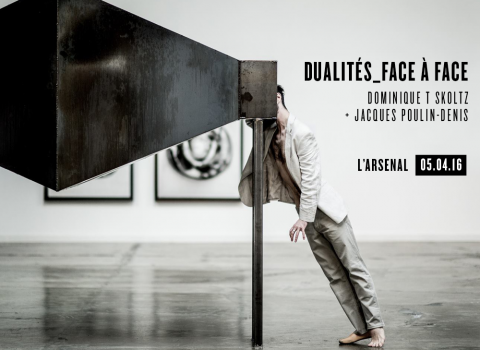 As part of the Arsenal’s Cultural Tuesdays, Dominique T Skoltz presents an experience of her “Face to Face” installation. The audience becomes the witness of a secretive exchange between a man and a woman. Jacques Poulin-Denis, male dancer in the y2o project, will offer a choreographic and theatrical exploration located between the inside and the outside, between the private and the public. A solo that reveals the crack through which escape the secrets and confidences of the soul, drop by drop. Tuesday April 5th, 2016, 7pm > Arsenal Montreal, 2020 William street. 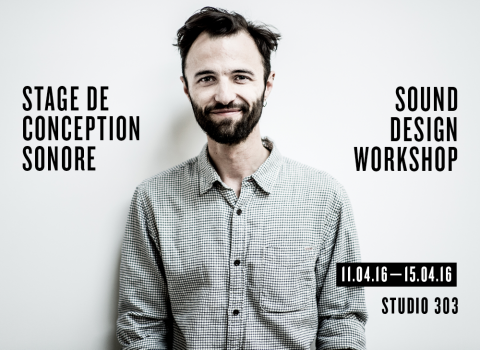 April 11 to 15, 2016, Jacques Poulin-Denis will be at Montreal’s Studio 303 to teach THE MECHANIC OF THE INVISIBLE. This workshop is open to choreographers, dance teachers, theatre directors and all those who want to learn basic techniques in sound design. For more information or to register, visit Studio 303. Jacques Poulin-Denis will be taking part of the NEXT conference, at the crossroads between Arts and business at the %e Salle of the Place des Arts on February 18 2016. The presenters will share personal and professional stories, all linked by a singular theme : how resilience has allowed them to learn, change and propel their careers. Here is what critiques had to say about Grand Poney’s latest work, (Very) Gently Crumbling. En route vers la post-humanité? A new website for Grand Poney has come on line ! We are excited to share our projects with the entire world thanks to this platform designed by atelier Mille Mille and Magalie Rouleau, and developed by Jules Renaud. Follow Grand Poney on Facebook! Grand Poney unveils its newest work : (Very) Gently Crumbling will premier at La Chapelle Theatre from April 21 – 25 2015. Created on text by Étienne Lepage and music by Jacques Poulin-Denis, dancers Katrine Patry, Caroline Gravel, Claudine Hébert & Anne-Marie Jourdenais perform among the ruins. They are the ruins, the last beats of the breath that has driven us here. 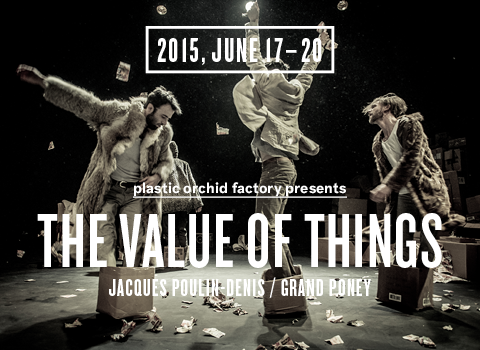 The Value of Things takes the stage in Vancouver June 17 to the 20 at the Scotiabank Dance Centre, presented by Plastic Orchid Factory. Declared “pick of the season” by the Vancouver Sun. Read about it in the Vancouver Sun! Read about it in the Georgia Straight!